Sometimes, cherubs in airports make people react in unexpected ways. I recently shared a video online from something that could very well have been from a museum, but it was not. Quite a few people were as amused as I was of the small cherub eloping a classic Rubens’ painting in Brussels airport, using projection mapping to make a classic painting come alive. However, one person was not amused. Apparently thinking this was from a museum, he voiced his opinion that he was not convinced this would get more people to visit the museum, and if they would, were they the kind of visitors you would want anyway? Let me just run that by you again. The concern here was whether those who got interested were the ones you would want to visit the museum. With a background in integrated marketing, I hold strategic planning and targeting in as high regards as anyone. Still, I cannot help but think that this whole idea of the right museum visitors seems like reversing the ongoing evolution of the relationship between museums and their audience. It even reminds me of cultural and artistic elitism. It makes me think of a time when many a cultural treasure was not something that the common citizen could lay eyes on. It reminds me of a tradition where the audience had to take the back seat to artefacts, art and experts, a mindset that has put off many potential appreciators and advocates of the treasures within the museum. But then again, it may just be me. I believe that you should be focused on the people you are trying to reach as an exhibitor. That also means taking into consideration exactly whom it is you want to get to visit. But that does not mean that you necessarily have to make the exhibition experience exclusive to them to the point of keeping others out. There have been many great examples across industries of unexpected audiences and users getting interested and engaged to the point of user loyalty and even fandom. Just in case you wonder, yes, of course, museums have fans. In other words, focus on the people that you want in, but don’t let that make you keep the wrong ones out. Cultural heritage, be it art, ancient artefacts, the history of the world or the story of a personal fate, are a shared pool of understanding. It shows us who we are and where we come from, and where we are going. 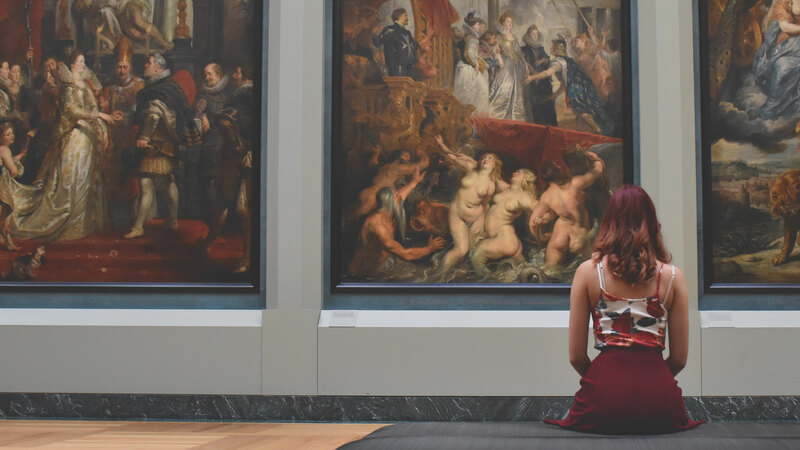 Museums and exhibition designers have both the responsibility and the privilege of letting new generations, new audiences look into that shared pool. If those who would typically not spare a single moment to even take a glance into it gets truly engaged and inspired, whatever it took to get their attention, it an unfortunate detour away from the proper ways of exhibiting for the right people. It is a leap forward in broadening its audience that any museum and exhibitor should celebrate as a success.